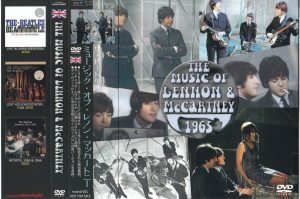 It is a special program of Granada TV called “THE MUSIC OF LENNON & McCARTNEY” in which the Beatles appeared in 1965 from the maniac’s special hand M Claudel label. 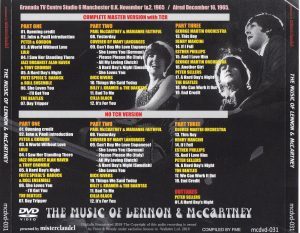 The show focused on two composers, John and Paul, who had gained fame as the most popular composer, among the Beatles, the most popular band at the time, by these two pens. It is a program of the concept that it approaches the charm including not only the written music but the music which two people gave to other artists. It is a special program that was recorded over the days of November 1 and 2, 1965 and was broadcast on December 16, 1965. 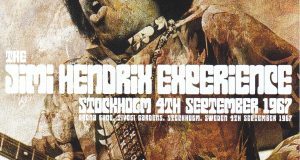 The performers are not only the Beatles, but also singers such as Lulu, Marianne Faithfull, Sila Black, George Martin Orchestra, etc. There is also a scene introducing cover versions of other countries, although they are not performed by artists. 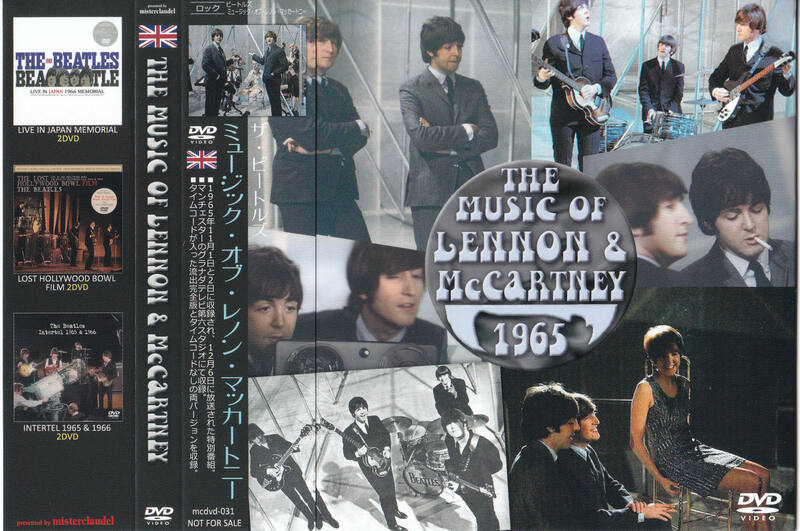 From Japan, “Can’t Buy Me Love” covered by Tokyo Beatles has been picked up. In this work, the program is recorded in two different versions. First of all, the first appearance full version of the outflow containing the time code. 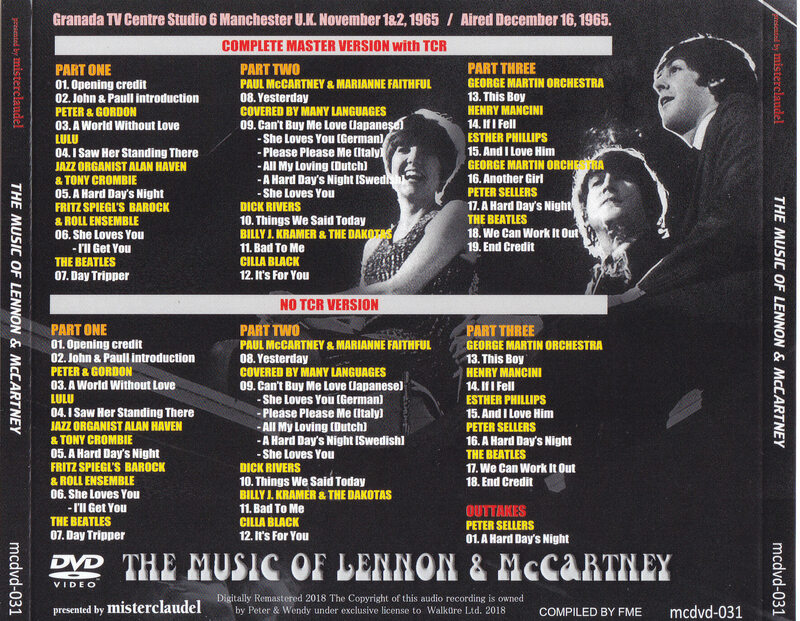 The basic content is the same, but it features a song “Another Girl” by the George Martin Orchestra, which was not broadcast. The fact that this song was recorded was a great discovery that was first revealed in this work, which has not been described in any literature so far. Although it was not used by the broadcast after all, it is the content of the surprise that there is an outtake besides the broadcast. And it should be noted that the image quality. It is clear if you can compare it with the broadcast version of the recording in the second half, but its image quality is uh! Isn’t it beautiful? And no doubt everyone will be surprised. This image quality that can be admired that it was recorded from the original complete master, not broadcast air check and copy, is a word of surprise. 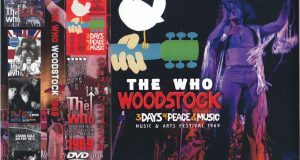 The second half contains the broadcasted version of the program. The image quality drops compared to the full version in the first half, but it has no time code. Furthermore, “A Hard Day’s Night” of Peter Cellars is recorded as a bonus picture. 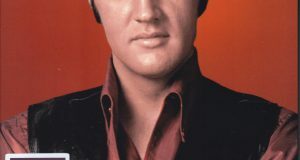 In 1965, a special program created on the theme of music made by two composers of the band who had been at the cutting edge of the era, released on a full board including the first appearance video. What’s more, the quality of image quality is considered to be reasonable for enthusiasts who have collected M Claudel until now, but this is an unprecedented improvement since it far surpassed their expectations. I want you to see by all means. A permanent press with beautiful picture and disc specifications.